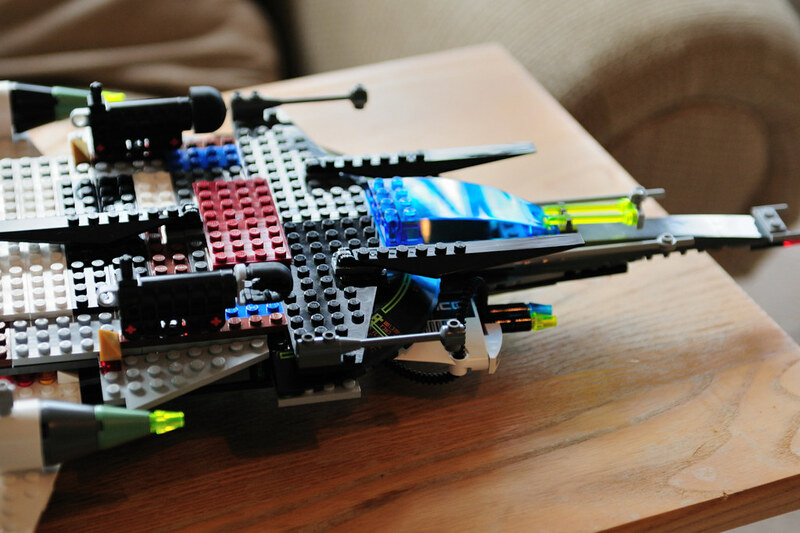 Brian spent most of the day putting together this Lego Jet. He was very proud of this creation - it measures 18" in diagonal, has three jets, two torpedo launchers and an inside cargo area. Very complex stuff. NOT letting Caden see this thing! Good for Brian getting it all done, looks great!